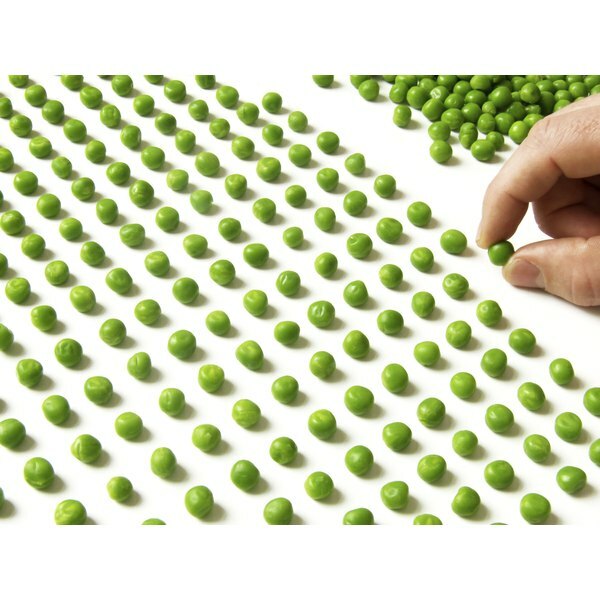 Obsessive-compulsive disorder, or OCD, is an anxiety disorder similar to depression in which people have recurrent negative thoughts, preoccupations, feelings and behaviors. It has been proposed that certain supplements, such as 5-HTP, a metabolic precursor to serotonin, can help to alleviate symptoms of OCD. 5-HTP may also increase the efficacy of antidepressant drugs that are used to treat OCD. If you have OCD or if you are taking prescription drugs, consult a health professional before using 5-HTP or any other supplements. 5-HTP is a chemical compound that your body uses to make serotonin, a neurotransmitter molecule that your brain cells use to communicate with each other. Imbalances in brain serotonin levels are thought to underlie a number of psychological disorders such as depression, anorexia and OCD. The underlying causes of low serotonin levels and OCD are not well understood but may involve genetic factors, psychological stress and poor diet. Many prescription antidepressant drugs generally work by increasing levels of serotonin and other neurotransmitters available for use your brain cells. While these drugs benefit many people with many psychological conditions, they are sometimes not effective. In some such cases, a doctor may recommend that patients using antidepressants make specific lifestyle or dietary changes or use certain supplements to increase the efficacy of their prescription. Antidepressants work by increasing the levels of serotonin that can be used by your neurons. In theory, by taking 5-HTP supplements, you may be able to increase levels of serotonin in your brain to alleviate OCD. According to Dr. Christian Komor of the OCD Treatment Center, 5-HTP supplements can reduce symptoms of OCD within 30 minutes of use but should not be used in combination with antidepressant drugs. A June 2011 review article in the journal “Progress in Neuro-Psychopharmacology and Biological Psychiatry” also explains that 5-HTP may help in the treatment of OCD. While 5-HTP may potentially help to reduce symptoms of OCD, the scientific evidence of its efficacy is controversial. If you have symptoms of OCD, talk to a doctor to learn about your best options for treatment. Never use 5-HTP or other serotonin-enhancing supplements such as tryptophan while taking antidepressant drugs.